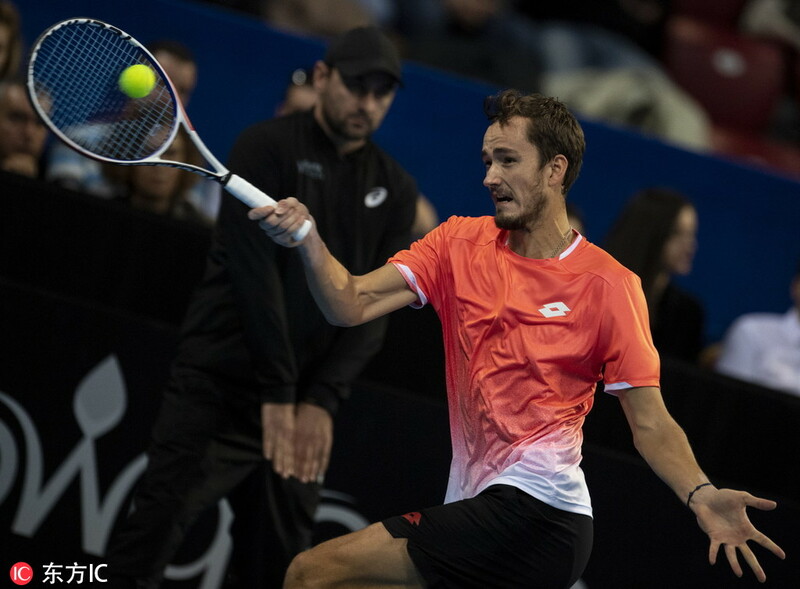 SOFIA -- Daniil Medvedev of Russia won the fourth edition of the ATP 250 Sofia Open here on Sunday after beating Hungary's Marton Fucsovics 6-4, 6-3 in the final. Medvedev, who will celebrate his 23rd birthday on Monday, lifted his first ATP title for this season and fourth in his career. Meanwhile, he will pocket 90,390 euros (some $102,560) of prize money. On the road to the glory, the third-seeded beat Robin Haase of the Netherlands 5-7, 6-2, 6-2, Martin Klizan of Slovakia 6-4, 6-1, and Gael Monfils of France 6-2, 6-4. "I am just really happy. The title is what I came here for," Medvedev said at the post match press conference. "I want to be better, not everybody reaches number one, but I want to become number one," said Medvedev, who is currently 16th in the ATP rankings. Roberto Bautista Agut of Spain won the tournament in Sofia in 2016, Grigor Dimitrov of Bulgaria in 2017, and Mirza Basic of Bosnia and Herzegovina last year.